Riding for the disabled is possibly the largest disability sporting movement in Australia and the world. A Danish equestrian athlete, Lis Hartel, is credited with starting the movement. Hartel was the first woman to compete at the Olympics in equestrian and the first to win an Olympic medal, when she won silver medals at the 1952 and 1956 Summer Olympics in dressage, although she was paralysed below the knees from polio. She started Europe’s first therapeutic riding school, and attracted international medical support for its benefits for people with chronic illness and disability. Dressage competitions for riders with a disability grew out of this movement, beginning in the 1970s in Scandinavia and Great Britain. In Australia, riding for the disabled has a large participation and volunteer support base, but few riders progress to the competitive side of the sport. Competitors ride a prescribed course of movements in the championship dressage tests. All riders within each of the five grades ride the same test. In the freestyle event, riders design a plan that includes required elements and is ridden to music. The scoring is based on the obedience and accuracy of the horse’s performance as an indication of the rider’s skill. Dressage as a Paralympic competition was contested for the first time in 1984 by six countries, but didn’t reappear again until the 1996 Atlanta Games, which was the first time Australians competed. Australians medalled at every Games from Sydney in 2000 to London in 2012. Until 2005, Para-Equestrian was governed internationally by a sub-committee of the International Paralympic Committee. Since 2006, the sport has been governed by the International Equestrian Federation (FEI), as part of its dressage discipline. In Australia, Para-Equestrian was managed by the APC until 2005, when it was taken over by the Riding for the Disabled Association of Australia (RDAA) under a mainstreaming agreement. 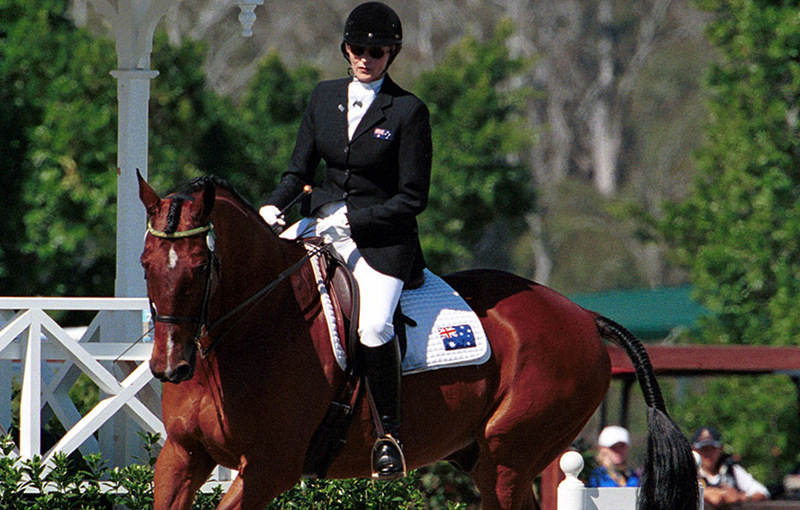 In January 2009, the Equestrian Federation of Australia assumed responsibility for the sport.